For eleven seasons now, The Big Bang Theory has chronicled the lives of a group of nerdy best friends, comprised of physicists and engineers who work at Caltech. Over the course of the series, these unlikely heroes have earned considerable success and renown within their fields, and have tried (and failed, and tried again) to find love and personal fulfillment as well. What once began as a cult hit among nerdy audiences soon went on to become one of the most-watched shows on all of television, sitcoms and dramas both. Its commentary on pop culture has always been sharp and timely, and the characters have (mostly) grown for the better, becoming well-rounded but still geeky at heart. Despite the series’ passionate audience and years of acclaim and awards, The Big Bang Theory will be going out with a big bang at the end of this upcoming twelfth season. Hard as it may be to imagine, the TV landscape will look very different come next fall. With the series coming to an end so soon, it’s tempting now to look back on what made the series as popular and successful as it has been so far. For the most part, the casting for the series has been impeccable and so strong that it’s almost impossible to imagine any other actors taking on any of these key roles. However, in some key cases, the casting really left a lot to be desired. 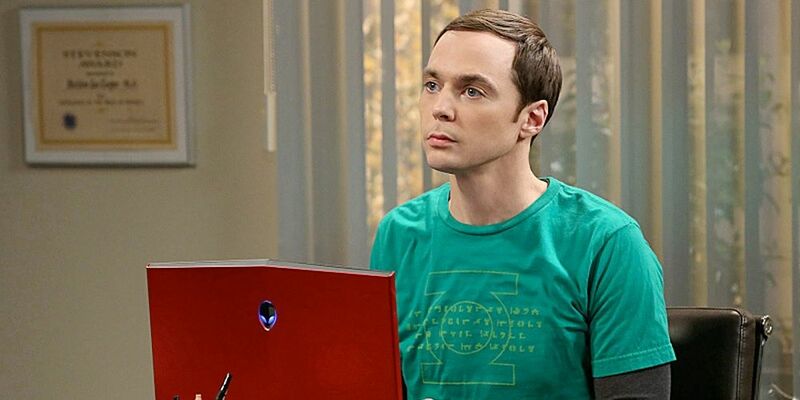 Here are 5 Casting Decisions That Hurt The Big Bang Theory (And 15 That Saved It). Controversial as it may be to say this, there’s no way of getting around it: The Big Bang Theory was better when Amy wasn’t a main character yet. 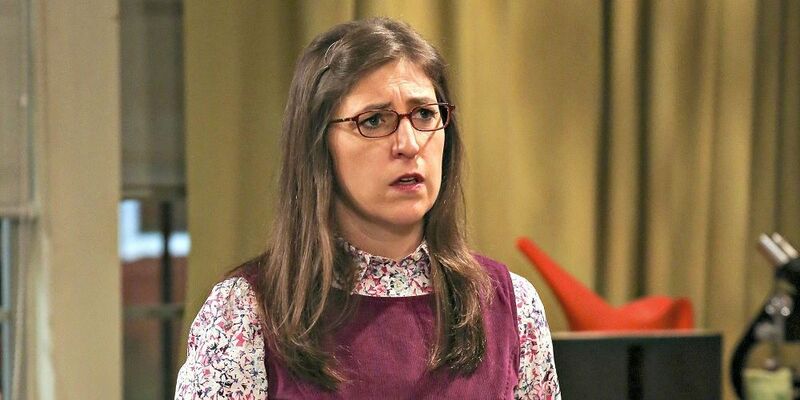 The gripe we have with this character has less to do with Mayim Bialik’s casting in the role – if anything, it’s hard to imagine anyone playing the uber nerd as convincingly as the former Blossom herself. However, our issue lies with the fact that Amy is a character who, really, should never have been introduced at all. Amy disrupted group dynamics that had been long-standing, and not really ever for the better. While Penny and Bernadette were able to insert themselves into the group quite easily, Amy has always been of a more passive aggressive, attention-demanding sort – particularly in relation to her beyond uncomfortable development with Sheldon, who is almost nothing like the character he once was because of her, and not at all for the better. While Leslie Winkle was never the right fit as a female lead for the series, Penny couldn’t have been a better choice – due in large part to the choice of actress, Kaley Cuoco. From the very beginning, Cuoco turned a character who could have been a one note cliched “dumb blonde” type into a character with real warmth, real heart, and a really great sense of humor. Some of Penny’s best moments have stemmed from Cuoco’s adorable habit of breaking character and struggling to conceal her laughter during hilarious moments. Cuoco’s chemistry with the rest of the cast has been entirely natural from day one. To think, she wasn’t originally going to be in the series at all. Apart from Penny, The Big Bang Theory has struggled to find its footing in its writing of female characters. However, with the introduction of Bernadette Rostenkowski – eventually Rostenowski-Wolowitz – the series finally created a female lead who was able to serve as an effortless bridge between the guys’ world and Penny’s world. Played by absolute scene-stealer Melissa Rauch, Bernadette has become one of the most vital elements of the series. She’s a brilliant scientist, who somehow tamed perpetual man child Howard and caused him to grow up and become a real man, husband, and father. One of the series’ most touching moments comes when Howard and the gang tearfully serenade Bernadette about how different life would have been if they had never met her. Just thinking about what TBBT could have been like without the stellar addition of Rauch is something that could bring the most dedicated of fans to tears, too. When The Big Bang Theory began, it was clear that the series was thought of as Leonard’s series with Sheldon as the eccentric second banana roommate whose hijinks were entertaining sideplots. However, it didn’t take long for that to change: The Big Bang Theory is now, and will probably always be, known as Sheldon’s show. How could it not be, with the master class of a performance that Jim Parsons has turned in season after season for eleven years? Sheldon is truly a one of a kind character, embodying the fragility that comes with being a child genius all grown up, and yet never once failing in his commitment to his scientific pursuits, nerdy fandom, and love of all things mathematics. When he’s been given the occasional emotional moment over the years, Parsons has elevated his often unintentionally hilarious humor into a truly moving display of human growth and feeling. It was Parsons’ decision to walk away from the series that led to the decision to end it all after twelve seasons – and with that particular decision, we can’t say we disagree. We’ve already noted that The Big Bang Theory’s struggle with writing fully formed female characters, but this issue is unfortunately even worse when the female characters in question are recurring, ultimately inconsequential love interests. Take, for example, the character of Ramona Nowitzki – an incredibly gifted and intelligent research student at Caltech whose entire character ultimately winds up being about her all but fanatical crush on Sheldon. The insensitive handling of her character is only further exacerbated by the casting of Garfunkel and Oates member Riki Lindhome, whose wide-eyed and frenzied line delivery often make Ramona appear like she’s truly an obsessive stalker, and not the like-minded genius researcher she was originally introduced as. When Ramona is merely reintroduced later in the series as a means of getting Sheldon nervous enough that he proposes to Amy, the damage to her character has already been long done. There are two characters on The Big Bang Theory who truly represent what it means to be a nerd without any of the cool perks and traits that the main cast of characters have been given as a result of being, well, the main cast of characters. The first of these is the truly wonderful Bert Kibbler, a geologist at Caltech whose disposition is perhaps most reminiscent of the likes of Sesame Street’s Snuffleupagus. Often down on his luck and an outsider, Bert has slowly but surely eased himself into the group, first through his friendship (and one-sided affection) with Amy and eventually by forming real friendships with the guys. Bert may not have been as endearing had he been played by any other actor. 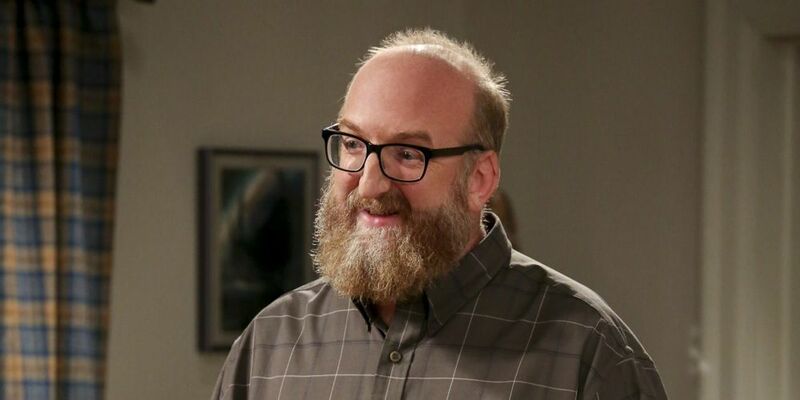 However, there’s something innately adorable and sympathetic about actor Brian Posehn, whose often monotone but hysterical line delivery truly sells the character. On the whole, the series has truly knocked it out of the park in its casting of the main characters’ parents. 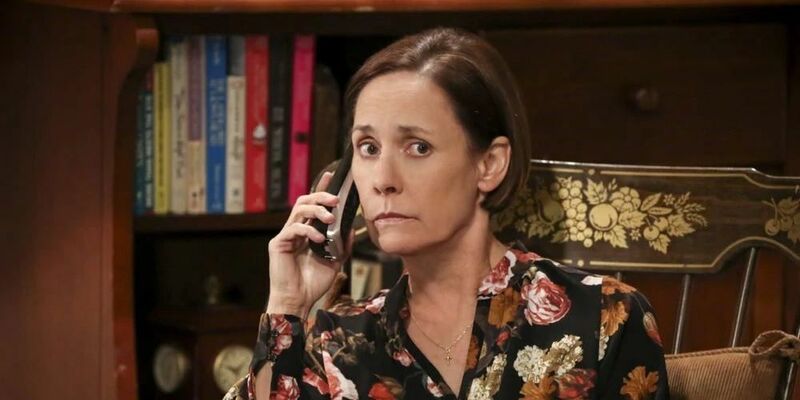 Look no further than Oscar- and Tony-nominated, Emmy-winning actress Laurie Metcalf’s scene-stealing turn as Mary Cooper, the devoutly Christian, anti-science mother of super genius savant Sheldon Cooper. Mary is almost always at odds with her son and what he stands for, but that never gets in the way of how much she loves her little boy. Young Sheldon has further strengthened the already tender bond between these two disparate characters, featuring Metcalf’s own daughter, Zoe Perry, inhabiting the role of a younger Mary. However, it’s Metcalf’s conviction and charisma that make Mary such a magnetic character in the main Big Bang timeline. Whenever she visits, or even if she just appears via phone, Mary is guaranteed to shake things up, providing endless amusement and emotional material in spades. While Mary Cooper is a true mama bear, almost to a fault, Christine Baranski’s Beverly Hofstadter couldn’t be a more different mother character. However, no matter how different she is, her performance is just as brilliant as Metcalf’s. As Leonard’s detached, analytical, anti-emotional neuroscientist and psychiatrist mother, Baranski has shown quite fittingly, in only a handful of appearances, just how much parent-child relationships can contribute to the making of an adult. Whether she’s embarrassing or ignoring her poor son Leonard, engaging in some unlikely bonding with both Penny and Sheldon, or contributing to the current plots of the series via phone, Baranski’s brilliant Beverly is always good for a brutally honest quip or two, even when that’s the last thing the characters really need. Love interests can often be the worst part of a sitcom, especially when it’s clear from the very beginning that the characters in the relationship in question are entirely ill-suited to each other. For The Big Bang Theory, the very worst character they ever introduced was, inarguably, Raj’s stuffy, snobby sister, Priya Koothrappali, a corporate lawyer who becomes Leonard’s main love interest in the series’ fourth season. Too prim and proper to ever fit in with so silly and immature a group, Priya sticks out like a sore thumb from the moment she enters the narrative. Aarti Mann’s acting is entirely ill-suited to the idea of being part of this gang, which perhaps is the point of Priya’s character. However, far too much time is spent on her during this season – to the point where it’s hard to enjoy even much of Leonard’s character in that year. The Big Bang Theory has done a lot when it comes to taking characters who could be reduced to single traits or punchlines and developing them into really interesting, multi-layered people. 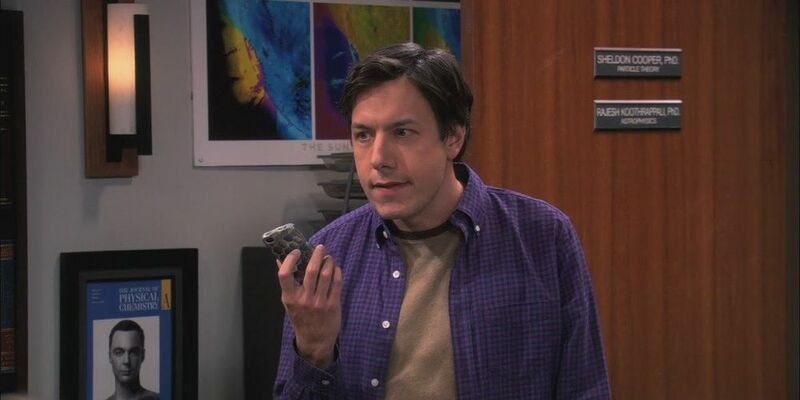 Barry Kripke is a prime example of one of these such characters, thanks in part to John Ross Bowie’s stellar performance. On paper, there isn’t really a whole lot that’s funny about Kripke in terms of sophisticated comedy: the character has a speech impediment that causes him to pronounce all his “R”s as “W”s – which is just so funny, given how many “R”s are in his own name. However, rather than allow the entirety of Barry’s character to be a series of jokes at the expense of his speech issues, the series has allowed Barry to more than prove himself time and again to be a truly gifted scientist, a nemesis for Sheldon, and an unlikely ally in some surprising moments. All throughout, John Ross Bowie has given the role his all, even when it involves some of the less amusing Rs and Ws jokes. It takes a lot to make a character truly iconic when they’re never seen on screen, ever – but The Big Bang Theory managed to do just that with the character of Mrs. Wolowitz, Howard’s often heard but never seen mother. 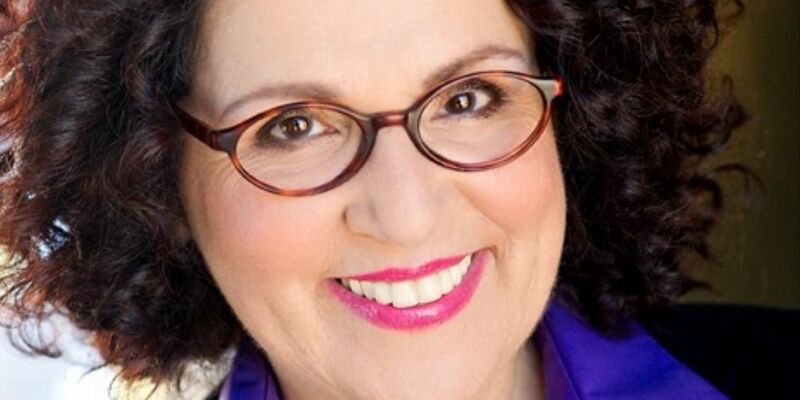 Voiced by long-time character actress Carol Ann Susi, Mrs. Wolowitz had one of the most distinctive voices in all of television history, loud and bold and unfiltered. While Mrs. Wolowitz never appeared on screen, the character’s presence always loomed large – and even larger still, after Susi’s tragic passing in 2014. Following this, the series laid Mrs. Wolowitz to rest along with her. However, soon after, they introduced a little baby Wolowitz into the world – Halley Wolowitz – whose signature nasally squawking cries are entirely reminiscent of her grandmother’s voice, and who will likely never appear on screen, either. In addition to casting the likes of television legends, such as Bob Newhart, for significant roles on the series, The Big Bang Theory has truly excelled in allowing famous science fiction names to appear on the series as heightened versions of themselves. 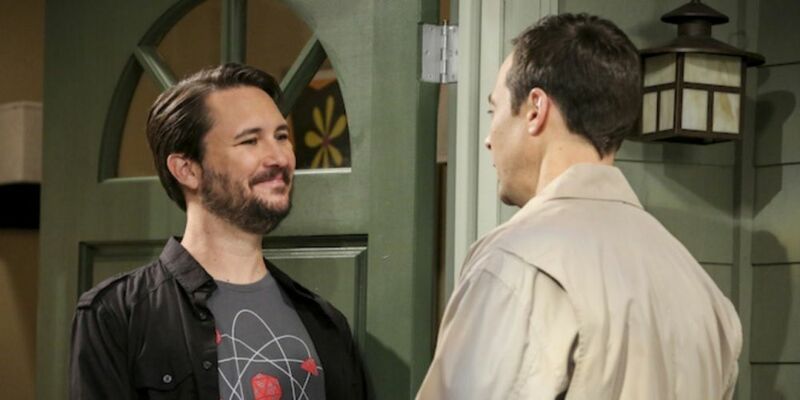 Wheaton has served as Sheldon’s primary nemesis for the entirety of the series, whether it came down to rivalry over bowling teams or Wheaton having the nerve to be cast as the new Professor Proton following Arthur Jeffries’ passing. Wheaton has had natural chemistry with all members of the cast. This allowed for his role to be fleshed out in truly entertaining ways, such as when he and Penny worked together on a truly terrible horror movie. On the one hand, it’s perfectly easy to understand why The Big Bang Theory chose to introduce Roseanne veteran Sara Gilbert as an academic rival turned love interest for Johnny Galecki’s Leonard early in the series. Quite simply, the nostalgia factor would have the potential of working in their favor, as Gilbert and Galecki played young sweethearts Darlene and David on the long-running sitcom. 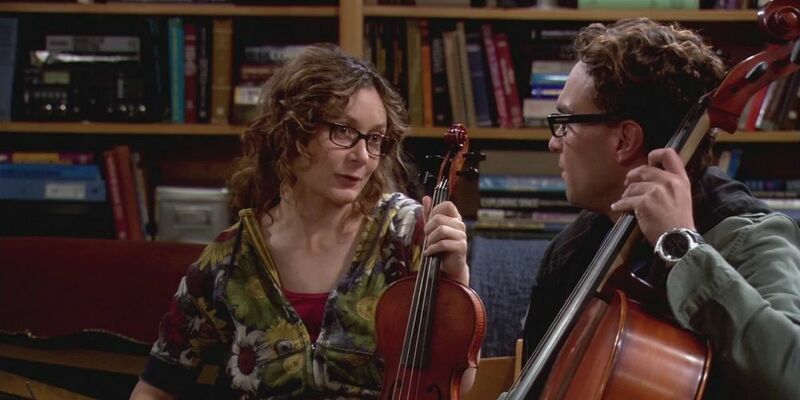 However, on TBBT, the duo never clicked in the same way, and it was always all too apparent that Gilbert had likely been chosen for the role because of her past on screen history with Galecki. Leslie was a character who struggled to fit the series’ cast of characters from the start – so her eventual departure, while inevitable, was also much welcomed. Brian George has had a lengthy career full of playing quirky characters, but prior to The Big Bang Theory, he was undoubtedly best recognized for his turn as Babu Bhatt, the hapless restaurant owner on Seinfeld who has the misfortune of taking advice from Jerry Seinfeld’s clueless lead character. On The Big Bang Theory, George turns in yet another stellar, understated, yet uproarious performance as V. M. Koothrappali, the often disapproving but highly entertaining gynecologist father of Raj who is located in India and appears via Skype and Facetime calls. George’s line delivery is always either verging on tough as nails and stern, or cartoonishly cheesy. He brings just the right amount of seriousness and levity to the role, and is able to communicate the role of parent and child beyond effectively in the limited screen-within-a-screen time he has been given on the series. One of the hapless but lovable characters is everyone’s favorite comic book store owner, Stuart Bloom. For much of the series, Stuart has been an unofficial member of the group, never quite fully belonging in the social circle but coming close enough that he’s basically family at this point. After all, he has lived with Howard and Bernadette for quite some time, helping to take care of their children. If Raj has been unlucky in love, then Stuart’s love life may as well have been extinct from the very beginning. 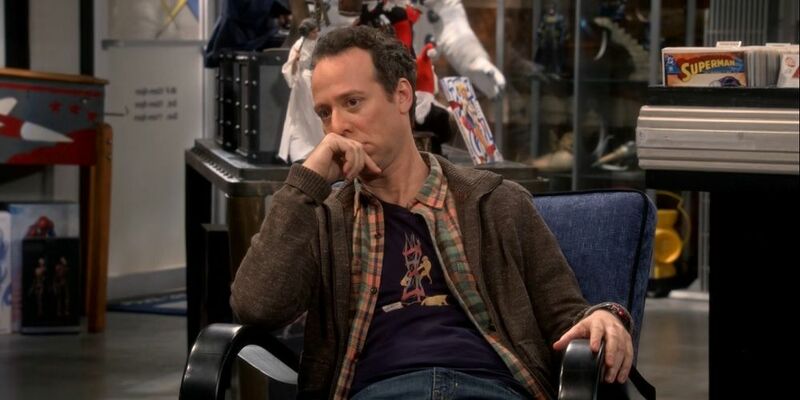 However, it’s his perennial failure in that area that often contributes to some of Stuart’s best material, always delivered in the most convincing way by the entirely underrated Kevin Sussman. With a recent windfall thanks to his comic book store becoming a success after Neil Gaiman visited and Tweeted about it, there’s no telling what the future holds for Stuart. However, we know for sure that Sussman will have us laughing about it for years to come. It takes a particular kind of talent to be the straight man in an ensemble full of larger than life and beyond zany sitcom characters. 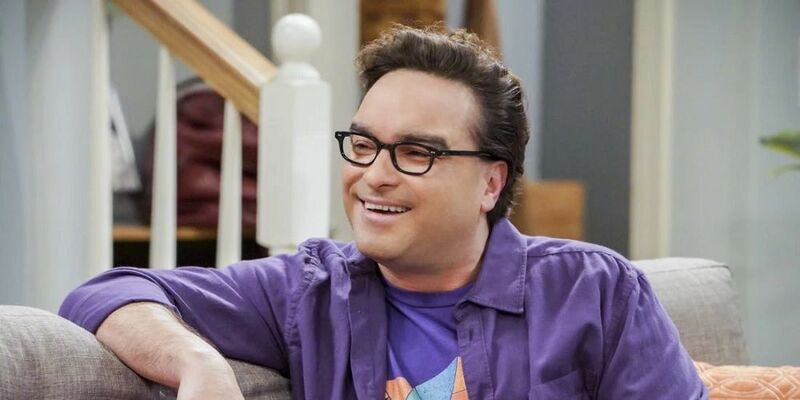 Luckily, Johnny Galecki is exactly that kind of talent, and therefore, he was the perfect man for the job when it came to casting Leonard Hofstadter, the level-headed roommate of the unstoppable Sheldon Cooper. Surrounded by men who are basically children in adult bodies, Leonard is often forced to be the voice of reason, even when he would sometimes rather embrace his inner child, too. Galecki’s strength of acting allows for him to transition almost seamlessly back and forth between these two different sides of Leonard, at once mature and in the next moment squealing with delight over the prospect of a new Star Wars movie or scientific discovery. 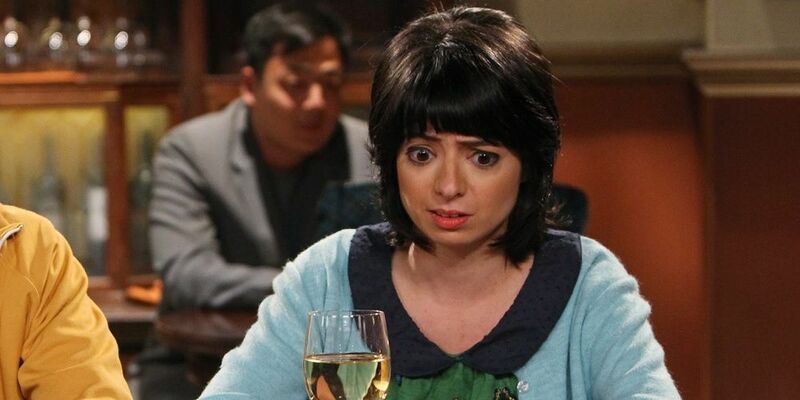 If only The Big Bang Theory had learned from its previous mistake of casting one half of Garfunkel and Oates, they could have spared its many fans the awkward experience of Kate Micucci’s turn as Lucy, Raj’s anxiety-ridden unreliable girlfriend. Raj has never been lucky in love in the series – after all, when the show began, he couldn’t even talk to women unless he was totally drunk. However, since gaining the ability to speak freely with women, he’s never found a girlfriend who really clicked with him and the friend group in any meaningful way. Lucy was perhaps the most woefully miscast. With a kind of awkward, turtle-hiding-in-its-shell demeanor and a real lack of a sense of humor, Lucy was never going to fit in with this larger than life cast of regular characters – nor was Micucci’s reserved, uncomfortable comedic acting style. 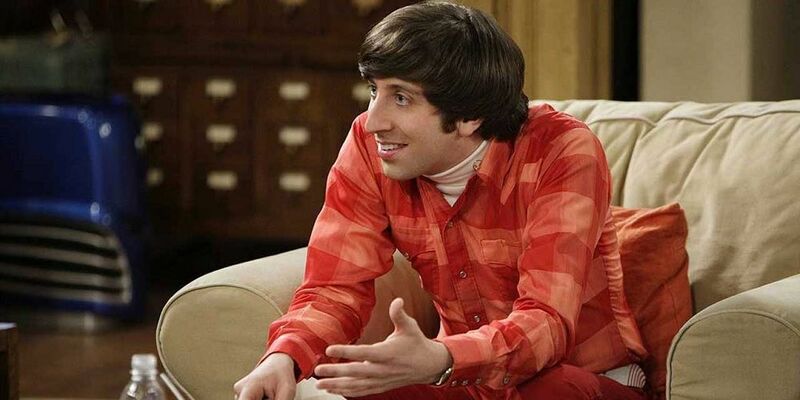 Few sitcom characters have developed as naturally and as wonderfully as Howard Wolowitz. Howard began the series as a relatively dirty-minded, immature loser who thought he was the best thing in the world and the best thing to ever happen to women, at that. Over time, however, he has matured into a responsible adult, a husband, and father – and he’s even gone to space, to boot. His career and family life are thriving now, both of which were unthinkable when the series started. All throughout, his sense of humor has been razor sharp, and his heart has almost always been on his sleeve. The perfect balance of wit and warmth has been perfected over the course of the series’ eleven seasons by Simon Helberg, without whose talents Howard would have been sorely lacking. 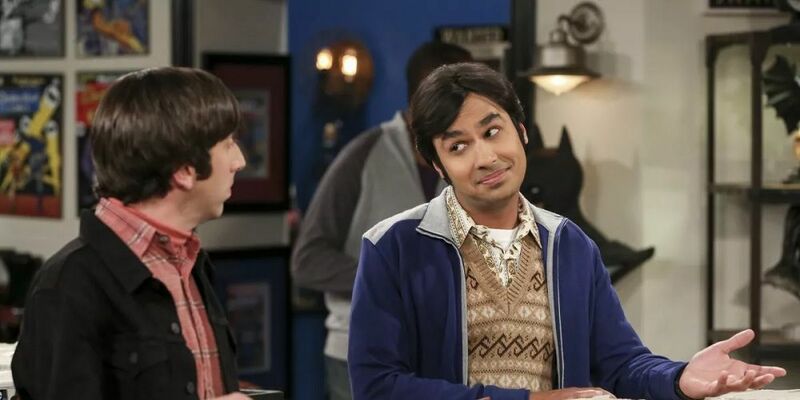 It’s a bold claim to make, but we’re here to make it: Kunal Nayyar is far and away the most underrated talent in the entire cast of The Big Bang Theory. Whether playing Raj as scared of his own shadow (and women) or as the fully confident and yet entirely anxious manchild he has become, Nayyar is pitch perfect in every single scene – and often single-handedly steals any scene he’s in, too. From his musical pursuits to his love of all things Tom Hanks and murder mysteries, there are so many things to love about Raj that we wouldn’t know where to start counting. However, what we do know is this: a lesser actor would have made Raj’s initial characteristic of being unable to talk to women into something gimmicky, annoying, and ultimately boring. Yet thanks to Nayyar’s gifted comedic talents, we’ve instead witnessed Raj grow from awkward wallflower to tried and true social butterfly – at least, in his own mind. It’s one of the biggest casting coups that a successful modern sitcom has pulled off, in the form of getting a bona fide comedy and sitcom legend to recur in a relatively major role. When The Big Bang Theory started, there’s no way that they could ever have possibly imagined the likes of Bob Newhart appearing on the series once, never mind multiple times. However, that’s exactly what happened, with Newhart appearing in the key role of Arthur Jeffries – also known as Professor Proton, a TV scientist along the lines of Bill Nye the Science Guy who inspired Sheldon’s early love of science. 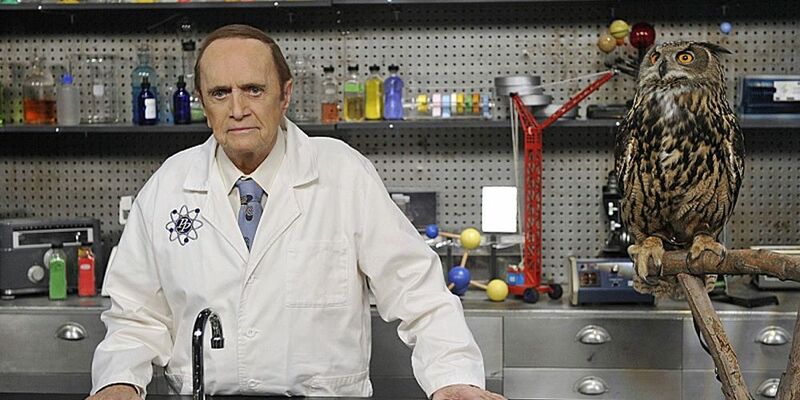 Following Professor Proton’s passing, the series has found ingenious ways of keeping Newhart around: by having him appear as a Force ghost in Sheldon’s dreams, a la Obi-Wan Kenobi to Luke Skywalker in the Star Wars franchise. 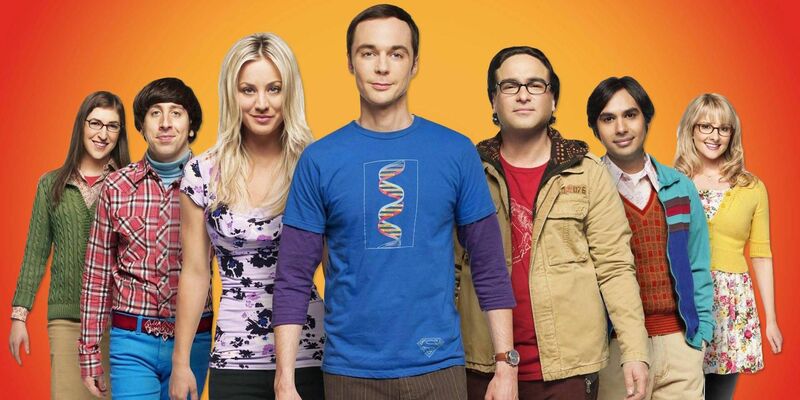 Which cast members do you think have helped or hurt The Big Bang Theory the most? Let us know in the comments!